Literally, the coolest town in North Carolina is Beech Mountain. At an elevation of 5,506 feet, it's the highest town in the eastern USA. So summers are cool with prime hiking and mountain biking. Winters bring a wonderland for skiing, snowboarding, ice skating, snowshoeing and sledding. And don't forget the brilliant fall colors that extend for weeks. 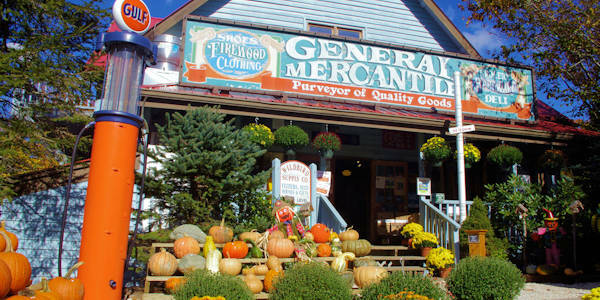 In the village center, find a variety of restaurants and the beloved Fred's General Store. If you love to ski and snowboard, explore 95 acres with 15 slopes and trails with a vertical drop of 830 feet. Their longest run is one mile. A snow tubing park is adjacent to the Alpine Village at the base of the slopes. Plus, you can snowshoe and hike on the 20-mile trail system maintained by the town of Beech Mountain. If you are dreaming of a white Christmas, this town is your best chance. 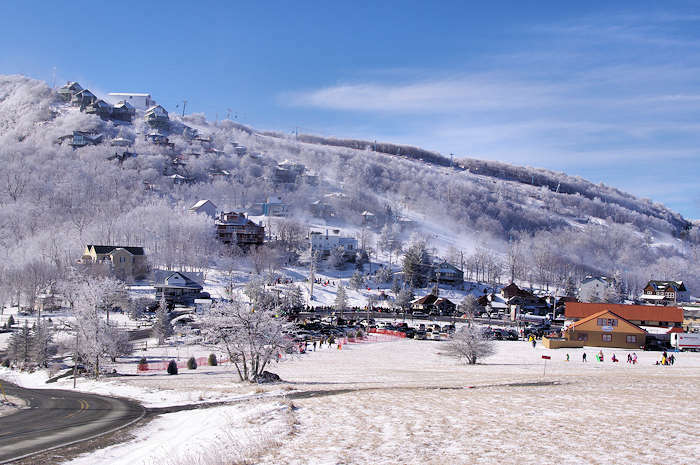 Read more about Beech Mountain Winter Fun. Since temperatures seldom top 75 degrees (about 15 degrees cooler than the city of Asheville), Beech Mountain is a wonderful place for hiking, mountain biking and golf. In addition to shopping and dining, there is plenty of see and do near Beech Mountain, including Banner Elk and Grandfather Mountain. For golfers, Beech Mountain not only promises comfortable playing temperatures, it guarantees them as part of its Summer of 79° package. Hike & bike Beech Mountain’s Emerald Outback Trail for expansive views via 7 miles ranging from 4,700 to 5,400 feet elevation. The main trailhead is across from the Town Hall. Nearby, find Beech Mountain Resort’s downhill biking park with multiple trails that traverse the ski slopes and are served by the ski lift. Riders can load their bikes on special trays that are added to the lift and then hop on a regular chair behind their bikes. That park is open Thursday-Sunday in June-August. Pick up a trail map and get info at the Beech Mountain Visitor Center, GPS address is 403 Beech Mountain Pkwy, Beech Mtn. Approximately 127 bird species can be found on Beech Mountain throughout the year. Because of this great abundance of species, the High-Country Audubon Society has recognized the Buckeye Lake Recreation Area as one of two “hot spots” in the area. Trout anglers have multiple options on Beech Mountain. Two streams - Buckeye Creek and Pond Creek - are part of the High-Country Mountain Heritage Trout Water Trail. 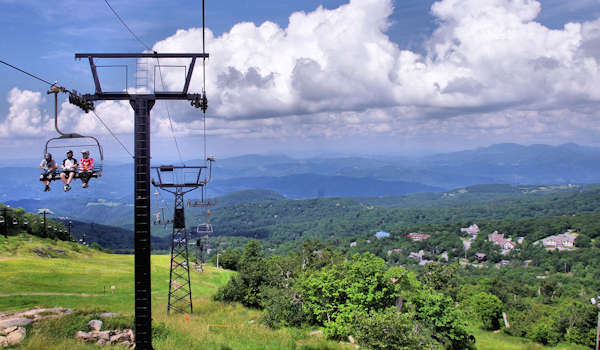 Chairlift: Bikers, hikers and sightseers ride to the top of the mountain on summer weekends (then you hike, bike or ride down). Mountain Bike Shuttles: Beech Mountain Bike Park June-August, Thursday-Sunday. Mile High Yoga at 5506: June-August weekends, for all ability levels. Accessible by chair lift with scenic views as you ascend. Tickets are $15. Arrive by 10 AM. Summer Disc Golf: This 18-hole disc golf course hosts multiple tee locations accommodating all skill levels. Beech Mountain Brewing Co. Taproom and Grill is open Memorial Day Weekend through October, Thursday-Sunday. 5,506’ SkyBar: At the top of the ski slopes is 5,506’ – a bar hosting panoramic views of the Blue Ridge Mountains in a cozy, glass roundhouse. Unwind with food, drinks, snacks and the best view in the high country. Take chairlift up. For more details, go to the Beech Mtn site. Some of the most popular weekends of the year are when the former Land of Oz theme park reopens for tours. 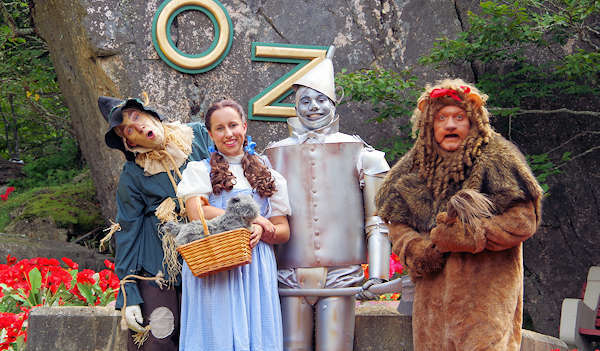 In addition to June weekend tours with Dorothy, the very popular Autumn at Oz weekend in September takes place on the mountaintop along the yellow brick road. Read more about Land at Oz. May 18, 2019: First Annual In Cold Mud Run, 9-11 AM, all ages. 30 straight days of organized family activities paired with great lodging specials for families. 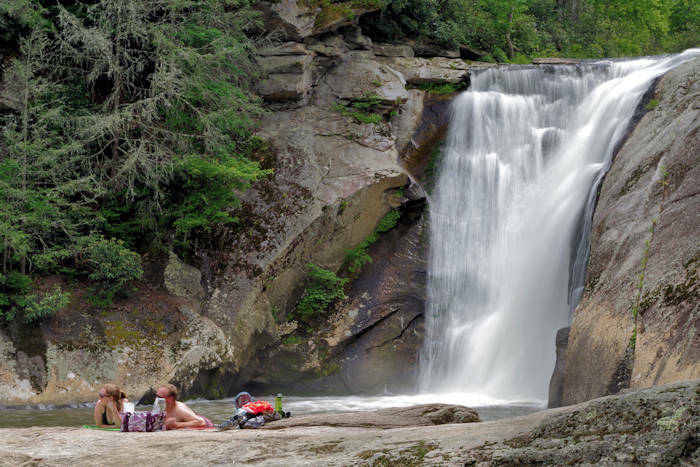 Activities include guided hikes, movies under the stars, tours of the old Land of Oz, mountain biking lessons, pickleball, scenic chairlift rides, ATV adventure tours, discount tickets to area attractions and a whole lot more. Beech Mountain is one of the earliest locations to find fall foliage color, usually peaking the first week of October. Stop at roadside farm stands, hike or drive the scenic roads. You won't find all the typical hotel chains in this town. You'll find a big variety of lodging options, from inns, condos and mountaintop homes. Plus, find some of the best deals and packages in the mountains. See the current Beech Mountain Lodging Specials. 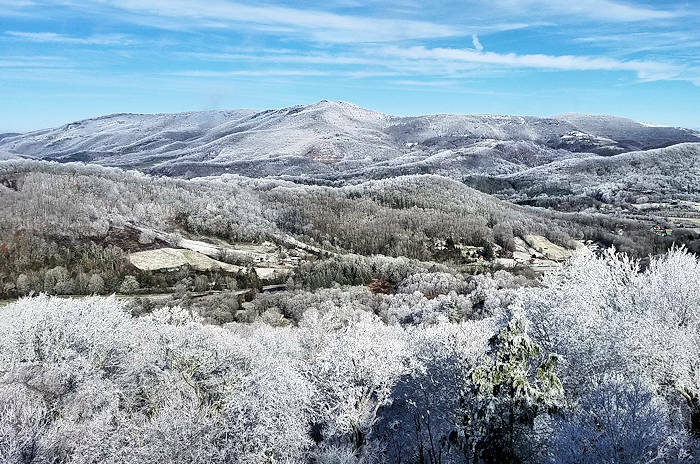 The town of Beech Mountain only has a full time population of 350 people, but the population increases to as high as 10,000 during the winter and 5,000 in the summer. There are more than 2,300 homes and condos on the mountain, so there are plenty of second homes and vacation rentals. The town began as a resort development in the 1960s. It's about 80 miles north of Asheville. Nearby is the town of Banner Elk.